Kidosphere Interactive Book are exciting series for us as we get to re-imagine book reading for toddlers. Based on popular Fliplog Picture Series, these books bring out best of traditional book reading with creative rendering on iPad and iPhone. Kidosphere, as part of Fliplog engagement, is proud to be working with some of the most creative publishers in the world – Pratham Books, Tulika Books, Karadi Tales and more. We bring and in some cases promote books by traditional publishers. When there is Krishna, there is mirth, music and mischief… and plenty of adventure too! 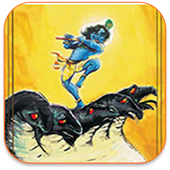 Krishna shows that he is no ordinary child through his encounters with Kaliya the deadly serpent, Indra the rain-god and, eventually, the evil king Kamsa! A divine prophecy says that the eight son born to Devaki will bring about the death of the evil king Kamsa and redeem the kingdom of Mathura. But Kamsa has imprisoned Devaki and sworn to kill every child born to her. Will the prophecy come true? 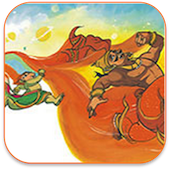 Young Hanuman, the son of Vayu the wind god, wanted to play with a large red fiery ball… except that the ball he went chasing after all was the sun itself! 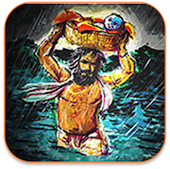 Sita, the wife of Rama of Ayodha, has been kidnapped and taken to the island of Lanka by the demon king Ravana. 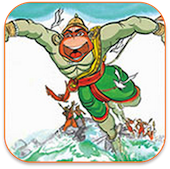 Only Hanuman can cross the mighty ocean and find Sita. What happens to Lanka when the mighty Hanuman descends on it. 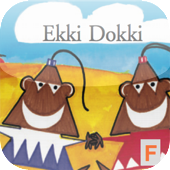 Ekki Dokki is a bilingual book in Hindi and English. Its a story about Ekkesvalli and Dhonkesvalli, who has one and two hairs respectively. Lets see what happens when they meet an old lady in the forest. The Runaway peppercorn is a bilingual book by Suchitra Ramdurai , art by Ashok Rajagopalan. This is a story about Amminikutty Amma picks the last peppercorn from her spice box to make onion chuntey. 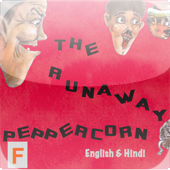 The Runaway peppercorn is a bilingual book by Suchitra ramdurai, art by Ashok rajagopalan. This is a story about Amminikutty Amma picks the last peppercorn from her spice box to make onion chuntey. Annual Haircut Day is the story of Sringeri Srinivas – man with very long hair. For one or the other reason, everyone refuses to cut his hair. Poor fellow runs around the village asking for help. What happens? Does his wish get heard? Find out what the tiger did to cut his hair, which the barber, his wife and many other folks couldn’t do. It is a sure hit with the kids. Kids get exposed to multiple languages. Increasingly, as part of the global diaspora, their skill levels dramatically vary across different languages. Many children can speak Hindi but cannot read Hindi scripts. 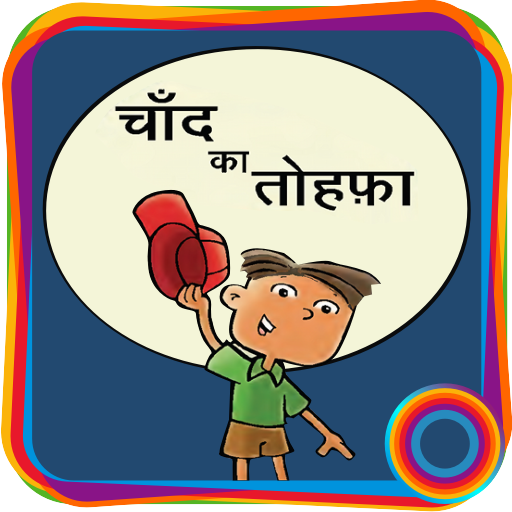 Chand Ka Tohfa, an ebook based on the book published by Pratham Books, is an attempt to creatively use technology in increasing regional language exposure along with entertainment.